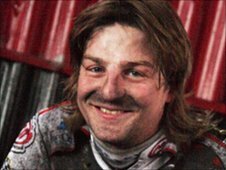 King's Lynn Stars have signed Danish rider Mads Korneliussen for their 2011 return to speedway's Elite League. The Dane, 27, has ridden in the top division for the past five years, and last season achieved a 6.26 average riding for Swindon Robins. "There will simply never be a boring race while Mads is involved and I am sure he will become a fans' favourite," said promoter Buster Chapman. The Stars' management say they hope to name the remaining riders this week.